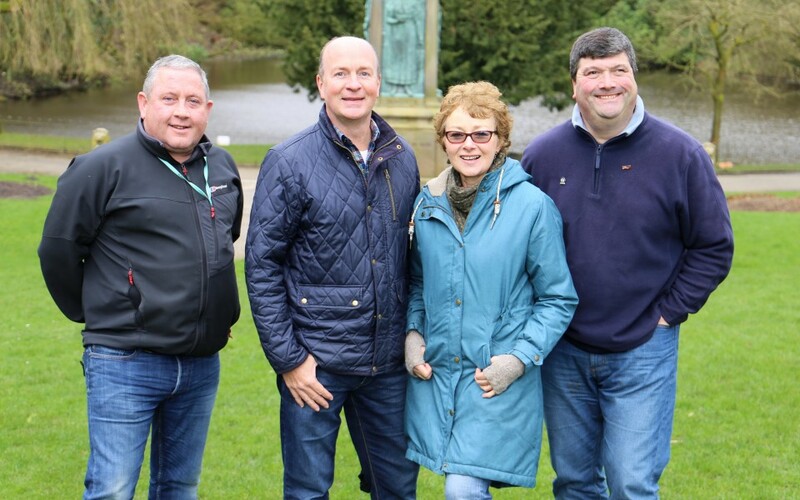 Pictured left to right are: Eddie Maxwell (Assistant Manager - Environment and Operations), Warren Chapman (Chair of the Friends of Bold Venture Park group), Julie Manton (Friends of Bold Venture Park group) and Councillor David Smith (Darwen West ward). The ‘Friends of Bold Venture Park’ group are celebrating after a recent funding bid for improvements within the park was successful. Blackburn with Darwen Council helped the group to apply for £18,000 from the Homes and Communities Agency’s Pocket Parks Plus scheme. The money will be used to fund a new ‘Doorstep Nature’ project, which has been planned with help from the local community. This is fantastic news for Bold Venture Park. We can now start work to open up views into the park, plant wild flowers, install bird boxes and improve some areas of new pathway. This project will make it easier for local people to access nature right on their doorstep. Work will start later this month and opportunities for local people to get involved will be advertised on the Friends of Bold Venture Park Facebook and Instagram pages, as well as on the group’s noticeboard by the main park gates. Congratulations to the Friends of Group for getting this project off the ground and securing funding to help improve the park. I’m looking forward to seeing how the work progresses over the coming months.